Image: The Age: Railroaded into selling, all for nothing (15 June 2013) Getting ahead of themselves, it was actually the Baillieu government in 2011. The letter arrived in the mail so long ago Nigel Cowan cannot recall what year it was – 1969 is his best guess. But he remembers vividly what it said. The Victorian government was going to build a railway line to East Doncaster and the three-bedroom house he and his wife owned in Bulleen was among those that would be acquired to make way for it. 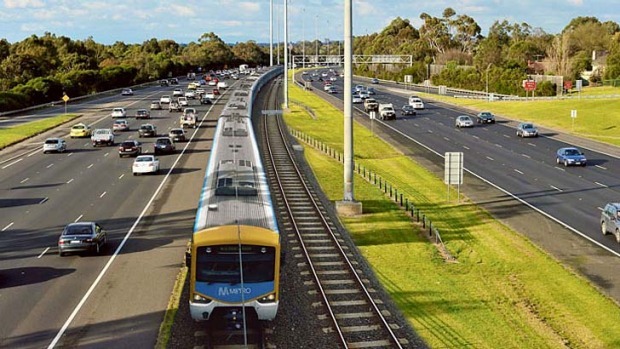 Melbourne’s public transport-starved north-eastern suburbs would have trains at last. The railway line, a part of the Liberal Bolte government’s 1969 transport plan, would run along the Eastern Freeway median then enter a tunnel at Dale Street, where the Cowans lived, on the way to East Doncaster.